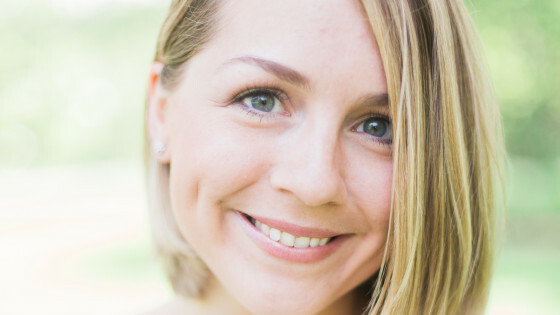 We are kicking off this week with a chat with our friend Lauren of Lauren Niles Events. How did you start in events? I started by planning my own wedding! I quickly became a little obsessed with budgeting and timelines (my wedding day timeline is still the running joke within the family). Throughout that process I realized that I was able to apply my love for fashion and interior design to wedding planning on a larger scale and I knew it was the direction I wanted to take my career. I took an entry level job assisting on weddings and then just took the initiative to learn as much as I could on my own, pushing myself to create design and planning processes that were easily understood by the client. My PR classes were very helpful in understanding how important the brand identity and client experience is, but the bulk of what I do is taking what I learned in interior design courses to the next level by applying it to event design. It’s always been very important to me to layer design aesthetics, which requires being a very visual person and then being able to translate that objective to clients in a way that makes sense to them and their personal style. I opened my own company, Lauren Niles Events, in October 2014, and I really couldn’t be happier with the client experience that we’ve developed. What’s the one thing you wish everyone knew about your or your business? I hope my clients (and potential clients) know that I stay up at night dreaming up ideas for their wedding!! I feel very personally attached to all of the weddings I produce and the couples I produce them for. It’s tough to mentally compartmentalize work and personal life when you’re so creatively invested, so I think it’s important for clients to know that we care and it’s important that we’re good at showing it. And it literally pains us to put up that out of office on our email accounts. What is your approach to weddings and events? My design approach is that weddings shouldn’t be all “rustic” or all “glam” or all anything. They should be layered. Textures, color palettes, hard vs. soft shapes- they should all work together to achieve a depth of design. Personal style is rarely just one thing, so it’s important that your wedding style reflects that diversity. For example, I really love ornate Rococo design, but I also love a great mid century piece. If I were to say that my wedding had to be mid-century inspired, but failed to introduce that love of beautiful, old world luxury into the design, I’d be letting go of part of who I was for the biggest day of my life. Styles can be layered and one of the great things about hiring a skilled designer is that they know how to layer those styles in a way that looks cohesive, not disjointed. And when it’s done right, it’s crazy memorable. Definitely what’s trending in the interior design world. I love to create environments that feel like the most formal version of your home, so it still feels familiar and intimate, while staying true to the formality of the occasion. At the same time, what’s trending also inspires me to take it to what’s upcoming rather than just what’s “in”. I get bored with trends fairly quickly, so I always try to take a trend and spin it in a new direction. Definitely the happiness of my couples!!! There’s nothing more rewarding than knowing that I absolutely helped relieve some of their stress during the planning process or seeing their faces light up at the final reveal before their guests enter the reception space. I especially love when couples rave about how much their wedding felt like them. It’s really important to me that I not design for myself, but for what they love and what makes them happy. What do you love or would change about events? I love that events have become very much about creating an environment for optimal guest experience. I have southern roots and a serious appreciation for traditional etiquette, so I love that weddings have become very much about hospitality. What’s the best piece of advice you can give clients planning a wedding? Trust your vendors. And if possible, work within the network of your favorite vendor. It’s important that you create a dream team, and a lot of that has to do with how nicely they work with others. The rest of it has to do with your ability to trust them with your vision and let them handle the details at a proper pace. Best trends that you would like to see more of? Let’s hang more things from the ceiling! More than just drape or chandeliers. I love a great custom ceiling installation or focal feature. I had a wedding at the beginning of this season at Chesapeake Bay Beach Club and the crowd danced more than any other crowd I’ve ever seen. I’m pretty sure there were people up on others’ shoulders, the videographer was desperately trying (somewhat unsuccessfully) to get into the middle of it for footage and the bride changed into Nikes for the festivities. My favorite thing to do when I’m not working on a Saturday is making a big breakfast for my family to the tune of a vintage record and kind of just taking it in. We dance in the kitchen, dream up vacations, projects around the house, watch little super hero skits courtesy of our 5 year old and serious dance moves from our (almost) 2 year old and it’s pretty much the best thing ever. In another world, I would’ve pursued my Broadway dreams. Music was my first love. Luckily with wedding planning, I still get pretty lights and lots of adrenaline! Check out more of Lauren’s work.